If you’re looking to have a little bit of fun with some friends, you’ll find that beer is one of the best alcoholic beverages because of how you can drink it casually and have fun. While many of us enjoy consuming beer, we don’t put much thought into how it’s made, and why should we if you can just pick up a six-pack? Well, you’ll find that brewing your own beer can save you quite a bit of money in the long run, and you’ll be able to eventually tune your recipes so that you can make the ideal brew. Since everyone has different tastes, you may not find a commercial beer or even a craft beer that offers exactly what you want. Should you decide to start brewing your own beer, you’ll learn what each of the ingredients do and the flavor they create in your beer. For those looking to get started, a brewing kit is all you’ll need, and today we’re going to be reviewing an affordable choice from Mr. Beer. Before we get to our review, let’s cover some of the crucial things to look for in a quality beer kit. If you’re a veteran brewer, you likely won’t even need instructions so that you can brew a batch of beer, but then again, you also probably won’t need a starter brewing kit. The vast majority of customers who purchase one of these kits will have no brewing experience, so it makes sense that the instructions will need to be clear. Most brewing kits will come included with detailed written instructions that will guide you through the process step-by-step, and you'll want to be sure that you can understand them to the letter. If there is anything in the recipe manual that is unclear, the entire batch of beer can end up ruined, and you'll have to buy some new ingredients. 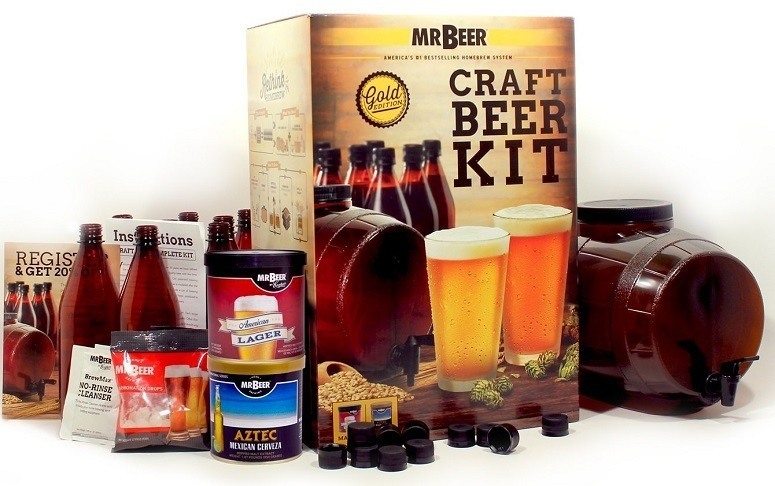 You’ll find that various beer brewing kits will come included with recipes for different types of beer. When you’re choosing from the homebrewing kits that are out there, you’ll want to find one that comes with the ingredients for the kind of beer you like so that you can get the most out of it. 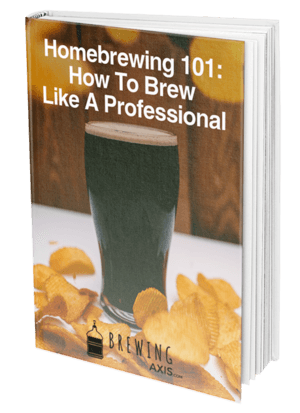 Keep in mind that certain kinds of beer are simpler to make than others, and that’s why you’ll see many beginner brewing kits that come with a recipe for amber ales. Of course, if you look around, you’ll find many different kits optimized for starter, advanced, and expert brewers, and they’ll feature a wide variety of beer types to choose from. 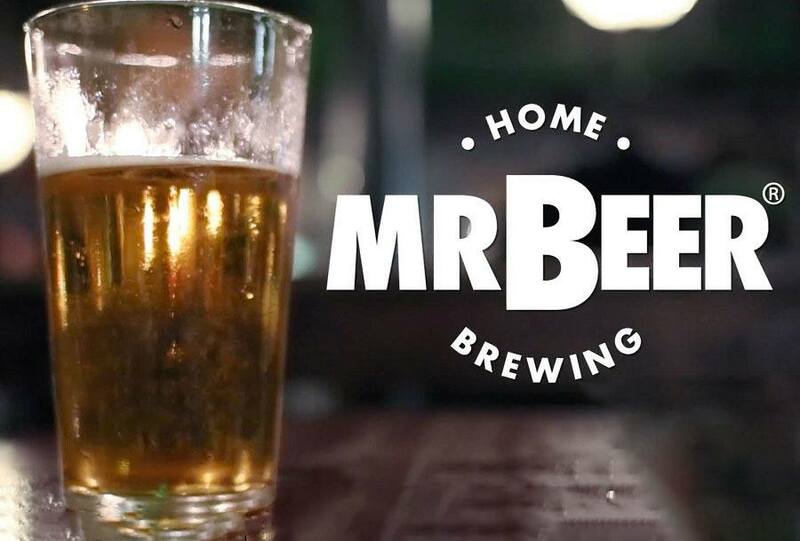 Mr. Beer is known as one of the best companies for homebrewers that are making their own beer at an affordable price. Many other budget brewing kits feature low-quality fermenters and ingredients, but despite the affordable price of this kit, you'll find that it features excellent build quality and makes great beer. You’ll find that this homebrewing kit’s main appeal is the value for money that you get out of it. Instead of spending over 100 dollars on a brewing kit so that you can get started, you can instead pay less than half the price for this Gold Edition set that will be able to brew 2-gallon batches. If you’re only looking to make beer for personal consumption, you won’t have a problem with the smaller size of the fermenter that comes included with this kit. You’ll also find that this kit helps mitigate the risk of failure as you won’t have wasted too much beer if you make a mistake part way through. The fermenter that you get with this kit features a range of features that make it easier to use. For example, the wide mouth of the opening on top of this fermenter makes your job much easier when the time comes to clean it out. There are also vents around the top of this fermenter which allow the gas to escape. 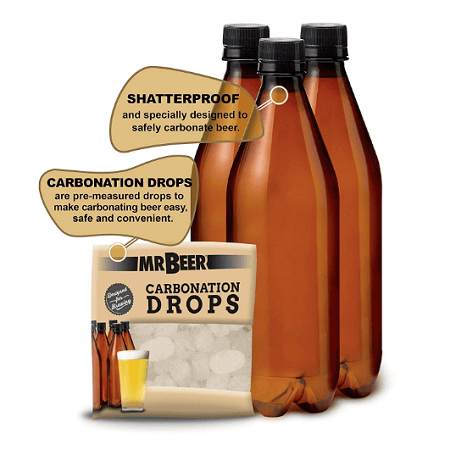 Additionally, you’ll receive carbonation drops which will make it easier to carbonate your beer as well as plastic bottles which will let you know when the beer is ready by squeezing them. When you account for the extra refills that come with this kit, you get quite a bit for your money. If you want to get a better idea of how this brewing kit will work for you, you may be interested in what other buyers have to say about it, so let’s take a look. As you would expect, the vast majority of buyers found that this brewing kit provides some of the best value for money when compared to the competition. Unlike other affordable brewing kits, this product was praised for being reliable and durable, specifically when it comes to the fermenter. Of course, no kit is without its downsides, and this model is no exception. Most of the buyers criticized this kit for the random beers that come with it, as you’ll never be sure that you’re getting what you want. Some buyers also questioned the decision to include plastic bottles which they claimed negatively affected the flavor. As we’ve mentioned repeatedly, this is one of the most affordable brewing kits out there, coming in at a total of 50 dollars. Being able to get started brewing immediately for such a low price makes this kit one of the best choices for those who are just getting started with this hobby. 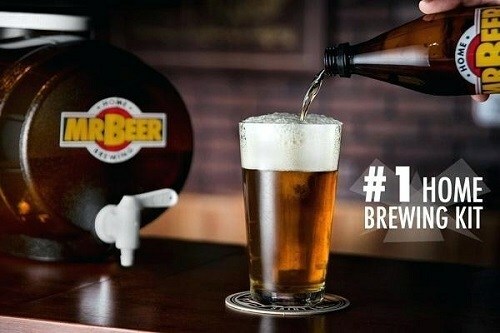 If you’re looking for the best affordable beer brewing kit, this set from Mr. Beer is one of the best choices out there. If you have any questions or comments, let us know down below.